Recruiting Update: Austrian Import to Eugene? 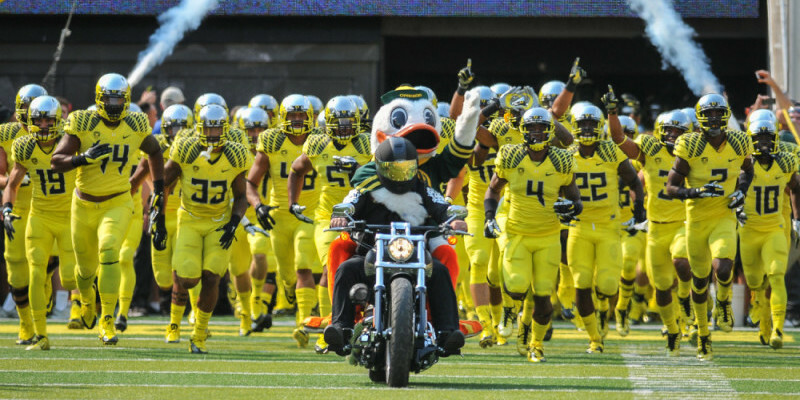 Oregon’s resurgence in the 2015 campaign couldn’t be coming at a better time as the fall recruiting push is in full swing. Just to the south, tabbed athlete Damian Alloway (4-Star/Fontana, Calif./Rivals250) made his thoughts known about a move to Eugene. A 5-foot-10, 170-pound speedster, Alloway has made his mark all over the field but will most likely settle at slot receiver once he makes the transition to the collegiate level. Another prep with heavy Oregon interest, Thomas Schaffer (3-Star/Lake Forest, Ill.), named the Ducks to his final three programs of choice. Schaffer may be one of the most underrated members of the class of 2016 due to a late start playing football after a move from Austria. An incredibly athletic 6-foot-7, 280 pounds, Schaffer is the type of recruit that could be turned into a perennial all-American. That honor would fall to defensive line headman Ron Aiken and could immediately rejuvenate a position group in question heading into next season; stay tuned!